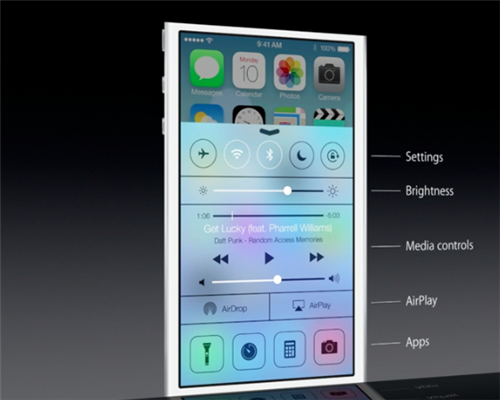 Federighi now talks about Safari. "The engine in Safari is used by over 1.5 billiion devices." Apple revamps Safari. It now has a sidebar bookmarks bar. The new Safari also has reading lists on the sidebar. It also has Twitter and LinkedIn. The preview of the new OS X - OS X Mavericks - is available today for developers. OS X Mavericks will be available for download this fall. Phil Schiller is on the stage. He talks about the MacBook Air. 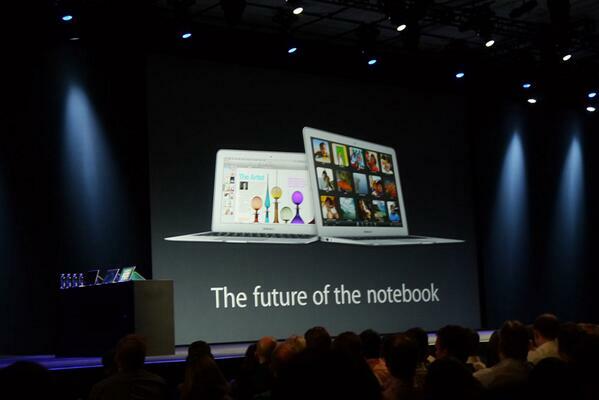 "We're really pleased to tell you that we've updated an entirely new line of MacBook Airs," says Phil. "The MacBook Air is based on Haswell ULT. It's a great processor for battery." 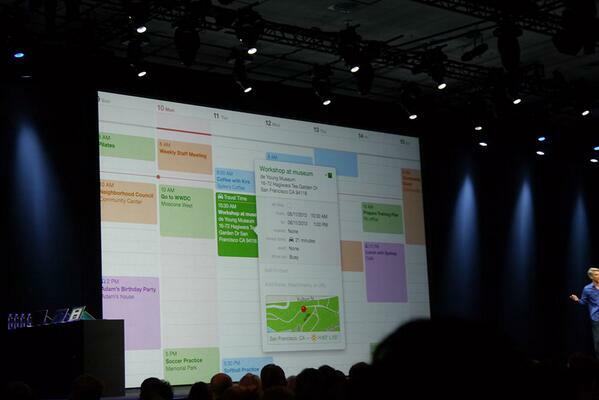 Due to Haswell ULT, the 11-inch model will get 9 hours of battery life, while the 13-inch model will get 12 hours. Apple introduces the improved MacBook Airs. 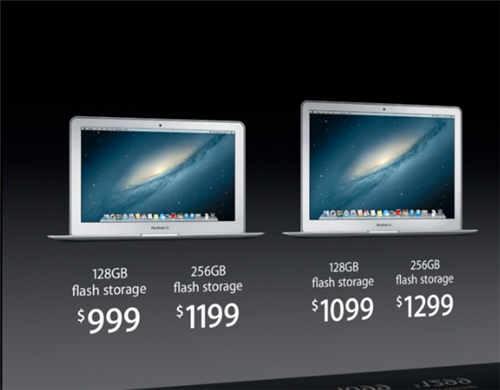 MacBook Airs start shipping today. 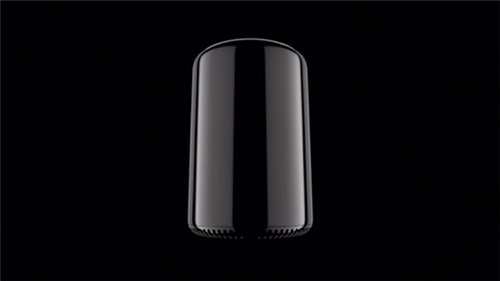 Mac Pro! This is something Apple is working on. Mac Pro: The future of the Pro desktop. "It is a Mac unlike any we've ever made." 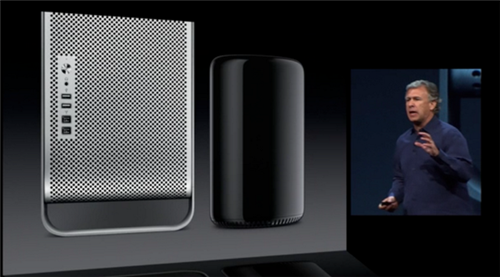 Tim Cook is back on the stage. 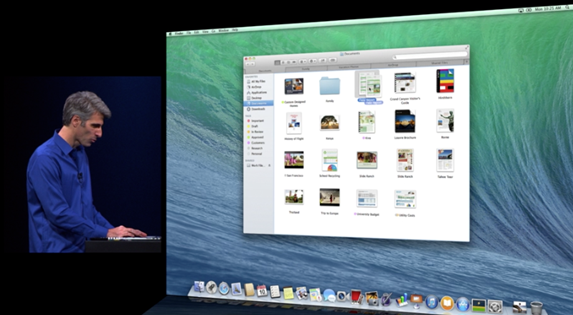 Tim Cook says, "Later this year, we're going to have awesome new releases of both our Mac and our iOS suites. But today, I want to introduce the newest member of our iWork family." Now lets turn our attention to iOS. 600 million iOS devices sold. Apple touts iOS' satisfaction levels. The attack on Android. Apple attacks Android fragmentation. The biggest change to iOS since the introduction of the iPhone. iOS 7, the biggest change to iOS since the iPhone. 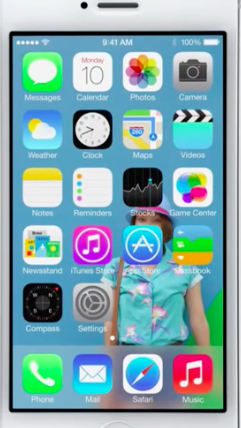 New iOS 7 looks very nice. It’s the redesign that the platform needed in order to stay competitive. Addresses at least a few pain points. 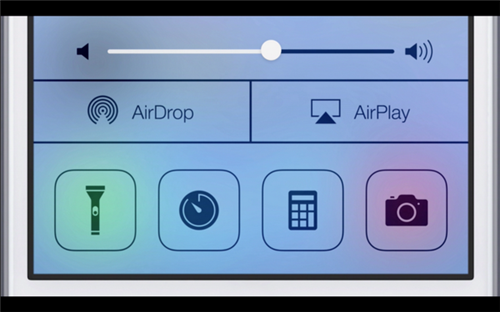 AirDrop on iOS. Takes a shot at NFC. No need to bump your phones. 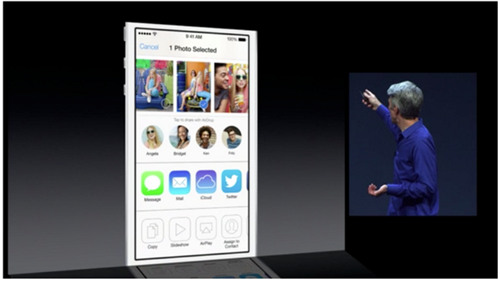 The camera on iOS 7 is four cameras in one. Includes live filters. "Photos on iOS 7 organises your photos into moments"
Apple's executive talks about Activiation Lock, a new anti-theft measure. "If a thief tries to turn off Find my iPhone or wipe the device, they will not be able to reactivate it." 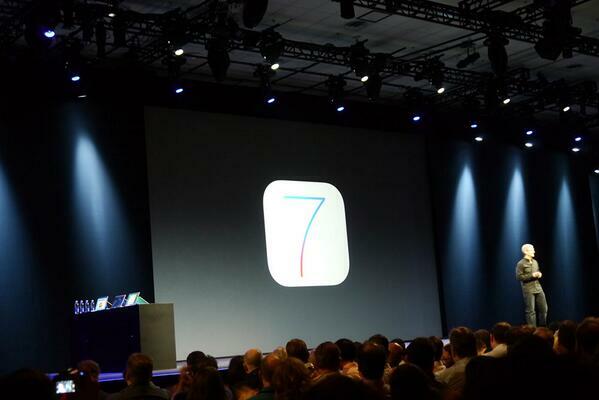 Apple's new iOS 7 is available to developers starting today. Users need to wait till fall. 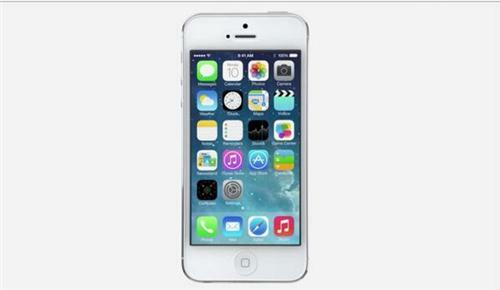 Compatible devices: iPhone 4, iPhone 4S, iPhone 5, iPad 2 and later models, 5th generation iPod touch. New commercial is playing at the moment.